One of the main goals when we visited India was to understand better the Fortune on the Bottom of the Piramid concept and how companies apply it in their products and services. We visited Godrej India Culture Lab, it is a fluid experimental space that cross-pollinates ideas and people to explore what it means to be modern and Indian. It is part of the multinational Godrej company that designs products and services all over the world. The term BOP (bottom of the pyramid) * refers to the demographic segment composed by the poor population located in the lower economic status. This population is mainly active in the informal economy which has a large number of unsatisfied basic needs and constraints that prevent them from participating actively in the market economies and, therefore, they have not access to goods and services to ensure their own sustainable development . There are different views on the base of the pyramid as a consumer market, as a market of production and the base of the pyramid as an ally, which aims to integrate the voice of the poor in the co-creation of new business models and companies to create mutual value, ie, integrate them as partners in the design, configuration and operation of the business. 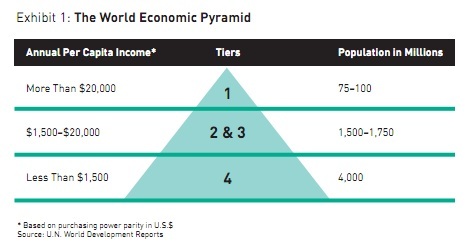 Picture 1: Tier 4 (massive segment of world population) with massive market opportunities has remained largely invisible. We had the opportunity to co-create with Godrej designers one project that they were working on. They were designing a product that could obtain thermal energy out of cookers to bring light to houses in the long hours of power cut. The product was already designed with defined characteristics and patterns. However, they came out with the trouble of reaching the people they will use that and defining a business model out of it. It has to be said that India is a very large country with many people living in rural areas, very complicate to reach. We went through the different stages of understanding a product in the market. From creating a sustainable business model of the product to creating a community of cooks around it to trying to envision the future aspirations that this people will have. We understood in a practical way the evolution of the BOP in India, from 2008 to 2012 the aspirations of custumers have changed so the BOP concept does. 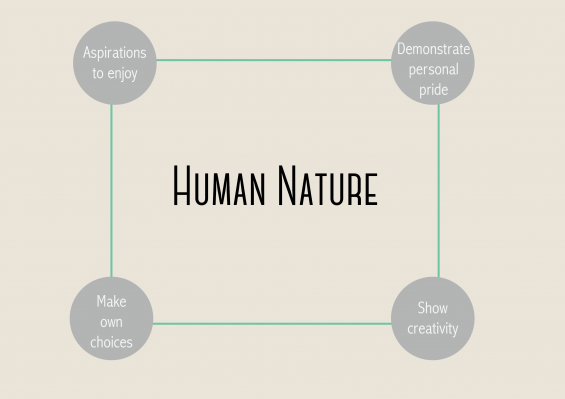 Going from the mere product to the whole lifestyle philosophy, understanding the human nature and the needs. Picture 2: BOP evolution from a low cost product to cover necessities to products that create a visible demostration of lifestyle. This connection between the product and the lifestyle aspirations donʼt come naturally one after the other, it requires the evolution of one community adapting this new product and making it alltogether part of their new life. 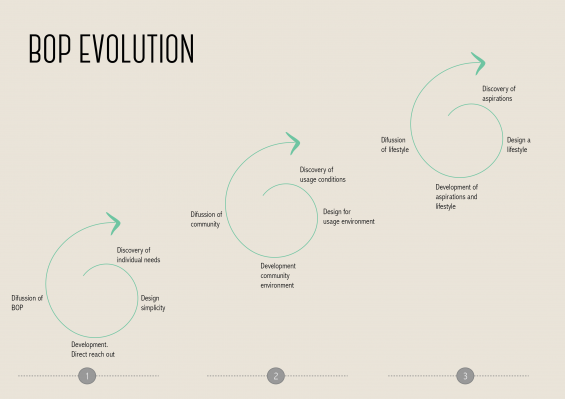 Picture 3: Evolution of designing in BOP economy starts from the product and ends up in bigger scale by the adoption of the product by the communities. BOP doesnʼt just cover a basic need in one specific situation, it brings totally a new concept of understanding life for those who we are designing. Covering one specific need brings the user to the next step, to have new aspirations in their daily lives and that is how the evolution of the BOP economies should be understood. BOP is about building socially responsible business to sustainable growth. Once understood the evolution and the impact a BOP concept has, how a big company could innovate in BOP? A product developed by BOP economy must be cheap, itʼs a compulsory concept that itʼs the base of the innovation. Here is where JUGAAD concept plays a crucial role. JUGAAD is a colloquial hindi word: innovative fix; an improvised solution born from ingenuity and cleverness. Unique way of thinking. Is about doing more with less. The gutsy art of spotting opportunities in the most adverse circumstance. You can look for more examples in their website. Juugad provides a great insights in order to enable an ecosystem for grassroots entrepreneurs and innovators. How are JUGAAD innovation companies? • Organizations will embrace the Inclusivity Principles during the design phase of innovation (Inclusive Design), rather than to try and retrofit or reengineer existing products and services to appeal to marginalized segments of the market after the fact. • We can not design simple products while keeping our business operation complex. The companies must simplify every interaction with the customer. And internally they must embrace simplicity as a new organizational principle. •Large companies dabble in intrapreneurship (also called skunkwork or jamming) initiatives that encourage employees to think flexibly and come up with unconventional ideas for new products or processes. As we have explained before to put a poduct that covers a necessity in the market creates a totally new reality. People interact with this new object, new habits are developed and older ones that tried to cover this necessity get old fashioned. The users make the product part of their daily lives and it changes the conception of life that they used to have. There starts the sustainable growth. You cannot predict the new aspirations that people will have with the adoption of the new product. There is just to wait and observe how people and communities use it and make it part of their habits. These are some clues that they came out after observing people using some products designed by them. They start to customize the product making it part of their lifes and changing habits and creating new ones. This change is understood as a tipping point to create for a new reality, full of new necessities and new options. Understanding the principle of the BOP product must be cheap, otherwise is not going to happen we believe that the ideal situation could come from covering different necessities for the Bottom of The Piramid spectrum and for the High level of the piramid spectrum with the same product. Example: The product that people from Godrej designed is about having power out of thermal energy to have light during the power cut hours. On the contrary, people in developed countries have more and more powered gadgets and they feel the need to stay connected to them, so they need batteries. Could this product work as a portable battery charger? Yes, of course. This two targets make the revenues bigger, so it helps to make it profitable for the company. It takes time for the BOP to be adopted, you canʼt push people to adopt new products by just putting them into the market. It is essential to understand their culture, habits and way of living and there is no way to understand although you spend time in their environment and talking to them. There are so many details that should be seen in place otherwise the real needs under will be still unseen. Finally, we truly believe that the BOP economy should help to build a sustainable growth. It has to help them to evolve, to create economy to make their lifes sustainable and better to bring for the future generations better places to live in. We are not only talking about a moral point of view of a designer but also a consumer perception to buy it. The consumer has to see that it brings benefits to their lifes and that it makes them in different stage to give better lifes to their children and relatives, otherwise they are not going to buy it. 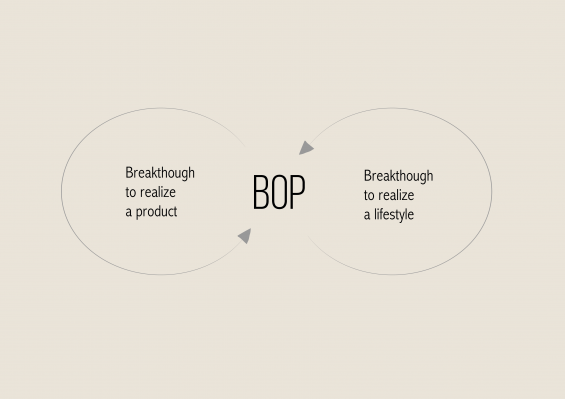 BOP is a complex and difficult concept to put into practice in companies, but not imposible. The largest population of the world is full of oportunities and uncovered necessities, they are opening themselves to the world but they need to be understood to create from and with them. Do you want to see how we developed DOT BOP+JUGAAD PROJECT? Click here!